The bill on recalculation of pensions to servicemen sent for consideration by the National Security and Defence Council. The government intends on Wednesday to send a bill on recalculation of pensions to servicemen for consideration by the National Security and Defence Council. "We spent a lot of time working on the proposals for a new pension system for military servicemen. Today our proposals will be handed over to the National Security and Defence Council, since this is a question of servicemen. 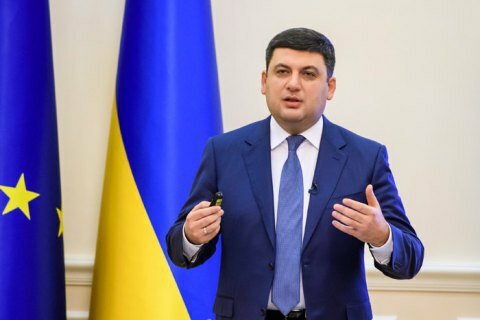 The opinion of the president and the National Security and Defence Council will be taken into consideration before the bill is sent to the parliament," Prime Minister Groysman told reporters on 13 December. Groysman said that the bill provides for an average 1,500 hryvnya increase in the size military pensions starting 1 January next year. "Pensions will be automatically revised on a regular basis, we envisage that combat pensions should be higher than the usual military pensions", said the prime minister. Ukraine in October raised pensions to all categories of retirees except the military. The bill on the recalculation of military pensions sponsored by the Ministry of Social Policy had to be submitted to the parliament before 1 November, which never happened. In a number of Ukrainian cities, retired military have held rallies demanding an increase in the size of pensions.